The New York Jets dealt quarterback Teddy Bridgewater to the New Orleans Saints along with a sixth-round draft choice in exchange for a third-round pick from the Saints. That will obviously free up one roster spot on the Jets final 53. Then of course there will be the team’s ten practice squad spots. Here’s how we see those spots shaking out. With a great deal of depth at tight end, wide receiver, safety, defensive line and running back, this year will be a bit tougher to predict than season’s past, but here we go. The Jets may look to add a third QB to their practice squad at some point because god forbid Darnold goes down, McCown isn’t the most durable option to step in. Even with this being the case, the Bridgewater trade had to happen as the team needed draft capital. McGuire will likely head to short-term IR at some point but the Jets have a solid enough group with Powell, Crowell and Cannon. Will they have any room to run? That remains to be seen. In our initial 53-man roster we had the team going without a fullback and we’re sticking with that once again. When needed, one of the tight ends can take on that role. Robby Anderson could be facing a suspension in the early going, but figures to be the Jets top deep threat. Another deep group that could see one spot go to Roberts who will be the team’s primary return man. A young player with more upside would be preferable, but nobody has emerged up to this point. 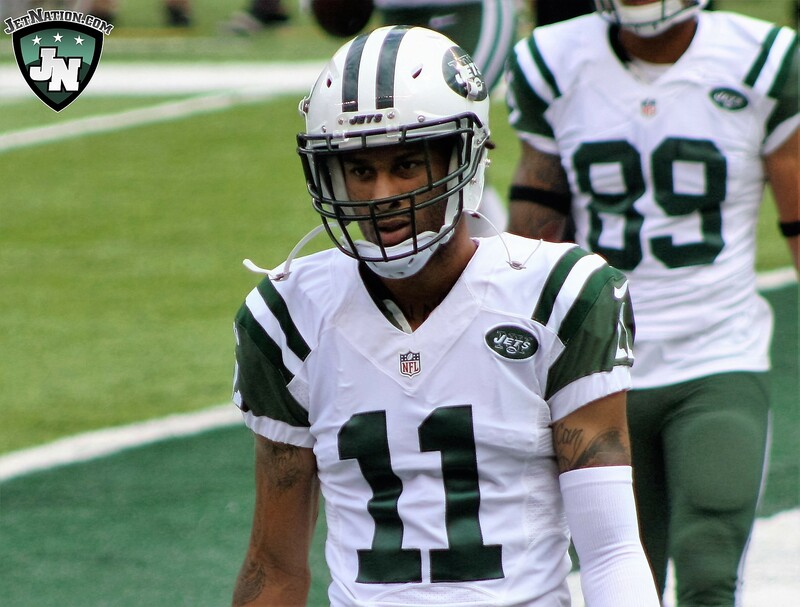 Anderson and Pryor’s ability to stretch the field should put stress on opposing secondaries. ArDarius Stewart starts the season with a two-game suspension so the Jets can “stash” him for a couple of weeks. There may be some temptation to keep Charone Peake who wouldn’t be bad as a sixth receiver and is one of the team’s better special teams players. Don’t rule it out. The best competition throughout camp was the tight end group that consistently made plays. Jordan Leggett could be swapped out with Clive Walford if the Jets are concerned about his durability, but every TE on the roster could have earned a spot this season. O-Line (9): Kelvin Beachum, James Carpenter, Spencer Long, Brian Winters, Brandon Shell, Brent Qvale, Dakota Dozier, Ben Braden, Jonotthan Harrison. The starters are better than many think and Dozier and Qvale are solid backups on the right side. The biggest concern would be an injury to either Beachum or Long where there is zero depth. Ben Braden is one of the bigger surprises this camp and has seen action at guard and right tackle. Williams has to do a better job of getting to the quarterback this season. Not necessarily a double-digit sack performance, but seven or eight should be the goal for a good 3-4 DE. 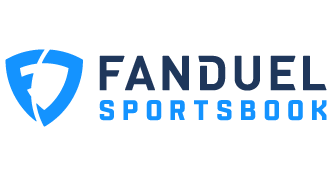 Anderson has played very well after being acquired for a seventh-round draft choice and Fatukasi has been a pleasant surprise. This is a solid group with good depth behind the two starters in Williamson and Lee. Should Lee falter again in year three, Todd Bowles has several options that could be upgrades. Kevin Pierre-Louis will miss the first two games of the year with a suspension and could be the eventual successor if Lee isn’t the long-term answer. Jenkins is the only established starter in the group and while Martin is better player than many give him credit for, he’s still not the presence off the edge that the Jets so desperately need. Luvu gets a chance to make some plays in Dylan Donahue’s place as Donahue is likely to face a suspension before the season kicks off. 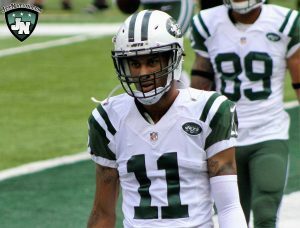 Johnson and Claiborne give the Jets a solid 1-2 punch and Skrine will look to build on what was his best season as a Jet in 2017. Nickerson looked fantastic in camp before straining his hamstring and Jones showed off some of his elite physical attributes. We’re sticking with Roberts based solely on the fact that he appears to be a Bowles favorite. Rashard Robinson starts the year with a suspension but could be added to the active roster once eligible. 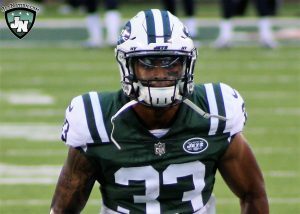 Jamal Adams looks to have a bigger impact in year two. Adams and Maye hope to see things slow down a bit in year two as the duo look to lay the foundation for the secondary for years to come. JJ Wilcox is a tough player to cut but he gets caught up in a numbers game. Would like to see the team find a way to keep him. Myers is no lock to stick around long-term if a better kicker shakes loose after teams trim down to 53. Teams have ten spots to fill with their practice squad players and everyone seems to grab two or three players who are cut from elsewhere, so we’ll project a handful of guys who could stick around. CB Xavier Coleman: Really wanted to place Coleman on the final roster but as mentioned above, the team seems to be very comfortable with Darryl Roberts which squeezes Coleman. He spent last season on the practice squad before being injured in live action when he was added to the 53. OG Alex Balducci: A project lineman who made the move from the defensive line to the offensive line, the Jets like something in Balducci as they let him go last season but brought him back a few weeks ago for another look. OG Dakota Shepley: Another guard? Yes indeed. James Carpenter only has one year left on his deal and Brian Winters has had an up and down history with his health. Balducci and Shepley give the team a pair of guards to try to develop before they’re replacing one, if not both of the guards on the current roster. FB Dimitri Flowers: We don’t have Flower making the 53 because his blocking hasn’t been up to par. Putting him on the practice squad gives him time to work on it in Jeremy Bates’ offense. CB Jeremy Clark: Clark has had a quiet camp but wasn’t able to show what he could do last season as he spent most of the season on the inactive list due to an injury he suffered in college before being drafted. LB Anthony Wint: An undrafted free agent out of Florida International, Wint always seems to be around the ball and stood out several times during camp. That’s a wrap on our 53-man roster projection with a few practice squad spots filled out. Could a few more names emerge after the Jets final preseason game tonight against the Philadelphia Eagles? Stay tuned.